To travel or not to travel, that is the question! I am not typically one to read magazine articles but I just found myself chuckling at an article in the “Philadelphia” magazine. The article is about a parent struggling with the decision to sign up a child for travel soccer or not. Oh how I can relate to this parent! When I was a child my parents were divorced. I was raised by a single working mother who made it clear that after a hard week at work she would not spend her free time carting us around to sporting events. If we wanted to participate in anything outside of school it would need to be with a friend whose parent was willing to take us also. This may sound rough but now as a parent I understand (most of the time). Many would say that my husband and I over compensate at times. On top of school, my children both take music lessons, karate and play sports. I remember a few years ago attempting to arrange for parties on the weekend and having many friends reply with “I am sorry but we have (fill in sport)”. I would be left feeling a bit annoyed and would swear that our life would not be like that. I was dead set that we would not have our lives controlled by any sport. 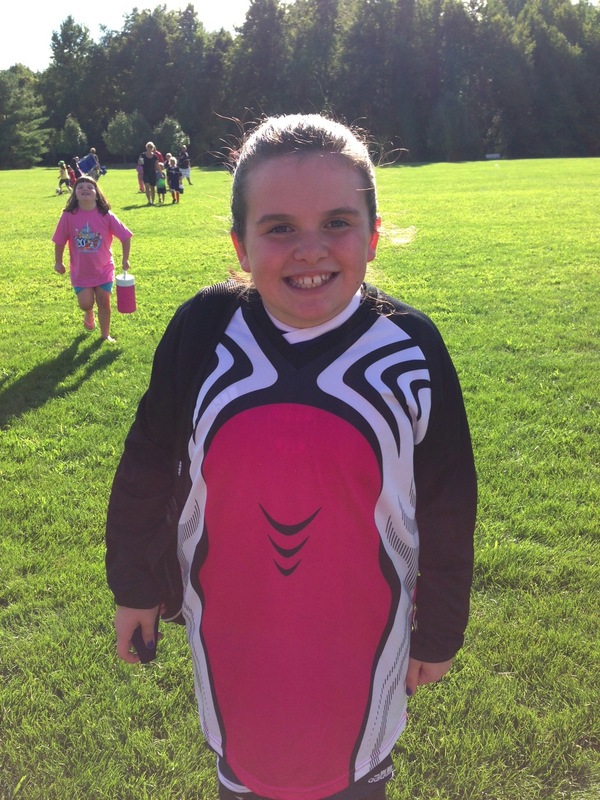 That all changed one night last summer when we received a phone call from Megan’s parks and rec soccer coach explaining that he had made the decision to coach at the travel level and that he was hoping to see Megan try out. I was not thrilled with the idea but she really wanted to do it. Of course we allowed it and the rest is history. I am now the parent of the starting, (and only) goalkeeper on the team. The girls practice twice a week and our Saturdays are spent on the fields. Holiday weekends mean tournament play and for our child extra camps which cost extra money to improve her skills in-goal. For some it sounds just awful and I will admit it is not for everyone. For our family, it seems right. We enjoy watching our girls play and improve. We have bonded with many “team” families. I also believe that the competition that comes with the travels program is very important. We live in a world of trophies for all, everybody plays and no winners or losers. For the young ones that is fine but there comes a time in life when it is time to learn reality. Life is filled with ups and downs, wins and losses. It is up to parents and coaches to teach that winning is not everything but showing up prepared to “play” is a must be it sport, school, work or life in general . Healthy competition as a child helps to prepare for the push and pull that they will experience through life. I guess as time has passed I have become a “soccer mom”. I do refuse to put one of those soccer ball magnets on my car. We all have to draw the line somewhere :-). Next postSo where did my money go?